At the start of the year six students: Finn Walker, Georgia Flanagan, Jack Murphy, Justin Samuel, Andrew Trieu and Daniel Ratka began their journeys with RISK. Our year started with an opportunity for us all to get to know one other and to see what goals, team work or leadership skills each student might work on. In order to do this we used an array of different teamwork and leadership based games that helped us to identify the skills that were most important to teamwork and leadership, as well as the area’s we felt we personally needed to work on. These are skills that are not only important within the confines of the R.I.S.K. Programme, but are important skills needed to succeed as you transition from school to new and challenging environments. Our first full block for the year started in the first week of term two and would continue for the remainder of the term. This block was led by the ever capable and knowledgeable Wayne Keen, of Keen Adventures. We started the block on the still and slow moving water at the back of the Groynes, slowly introducing goals and getting everyone comfortable with the idea of paddling and being on the water, which was out of some of their comfort zones. To help everyone feel more comfortable and confident in the canoes, we set some challenges for the group like standing up in the canoes, or doing press-ups on them, all while being out on the water. As the group got better at paddling we changed ponds and started practicing on moving water where some of the group also learnt how to correctly steer the canoes. After a few more weeks and some more learning curves, like avoiding banks and trees, the group put all they had learned into practice by going on a Journey. Our canoe journey took us along the Avon River, starting on the corner of Stanmore Rd and River Rd and finishing by the docks at Kerr’s Reach. The second full block was Climbing and Archery, led by Ben of the YMCA, The Roxx. 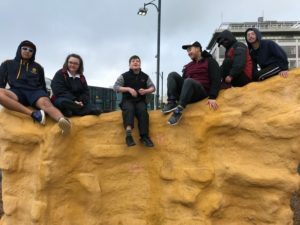 This proved to be the perfect location and activity for the groups continued work on co-operation, leadership, and personal development; using a variety of games where everyone had to work together and rely on one other to ensure they all completed the activity safely. 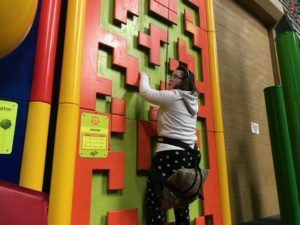 The group also learned about climbing, the equipment used and how to stay safe on the walls of the Roxx as well as the big walls found in the great outdoors. 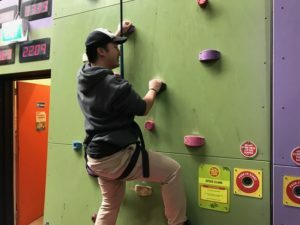 Everyone had turns at being climber, belayer and back-up belayer, this helped the group see how all of these roles are very important for the group’s overall safety, and that climbing wasn’t necessarily all about the person on the wall. 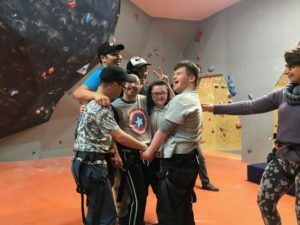 As a break from regular climbing the group enjoyed some time in Clip n Climb where the group was encouraged to push themselves and learn to trust the ropes and their own ability. We also got the opportunity to spend some time learning the skill of archery. This was a huge challenge for some members of the group as dexterity and co-ordination are the key to succeeding in this activity. Our last block was preparing for the overnight camp and bringing together everything we had worked on all year. Working in teams we made some Bivvies (survival huts) and learnt how to put up tents, as well as making a menu and buddy burners for the camp. We used Spencer Park for the camp, which allowed us to tackle the challenges of adrenalin forrest. The group also enjoyed the challenge of cooking with one another and being held personally responsible for the clean-up and dishes. In conclusion this has been a really interesting and challenging year, sometimes exhausting but always rewarding. 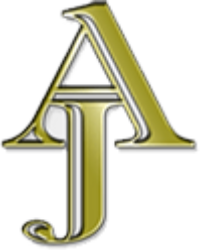 It has been great to see the progress that individuals have made becoming more confident and self-assured throughout the progress of the year.